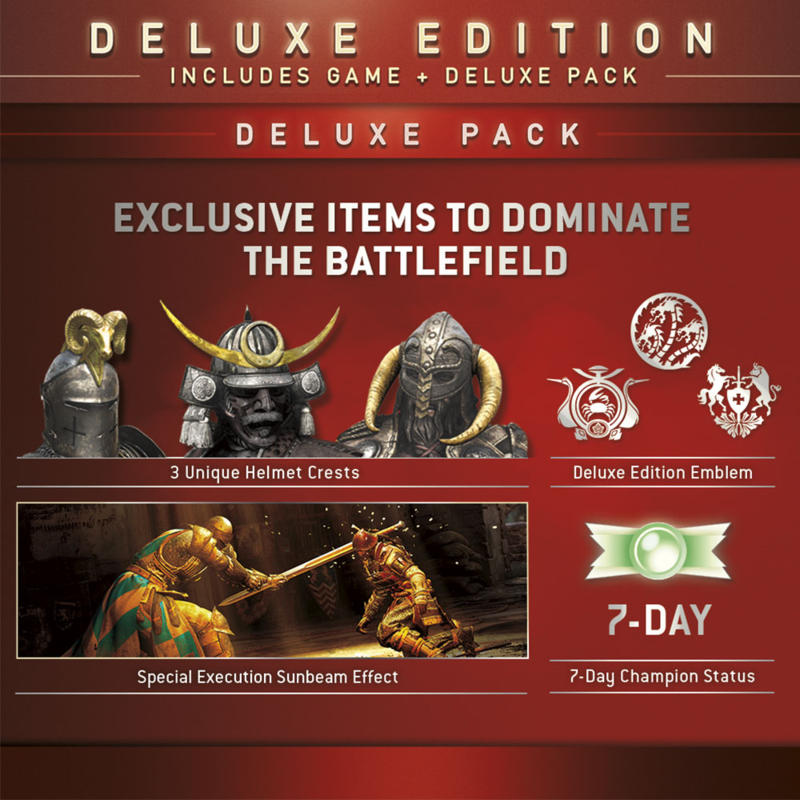 If you purchased the Deluxe Edition of For Honor, you would have received the Standard Game and the Deluxe Pack. You can find the contents of the Deluxe Pack below. 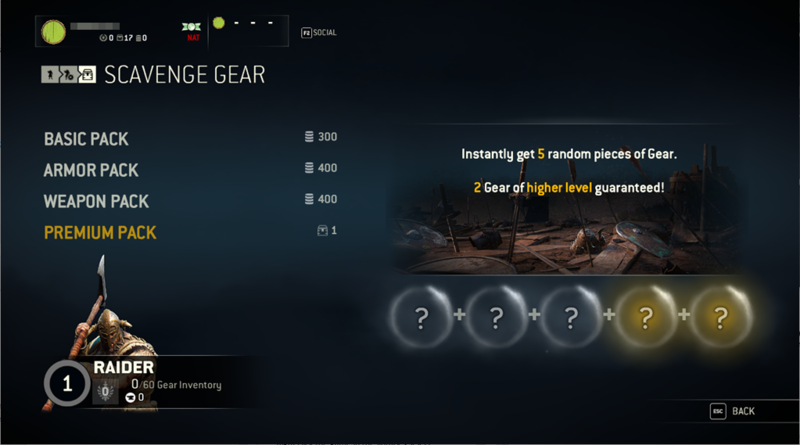 If you have any issues locating the content, please use the FAQ Article: HOW DO I LOCATE MY UNLOCKABLE CONTENT (ULC)? PLEASE NOTE THAT THE CONTENT IS BOUND TO THE PRIMARY ACCOUNT AND CANNOT BE SHARED WITH ANY SUB-ACCOUNT. If you are unable to locate your Deluxe Pack, please report this issue to our Support Team HERE.